Prospective college students as well as current college students need information regarding Virginia college grants to find ways to fund their educations with free grant money. There are extensive federal and state programs offering free grant money that students can apply for now. Grant money never has to be repaid. Students need to be aware of several components of each grant program: the eligibility requirements, the maximum award amounts, and the correct application method. Knowing this information can help any student find the money needed to attend a public or private Virginia college or university. Some of the grant money listed here is given out based solely on financial need or is given out based on how much a student’s family can be expected to contribute to the total costs associated with attending college. Other grants listed here require a certain GPA or a high level of academic performance. Other eligibility requirements include military service, enrollment in a Virginia community college, or enrollment in a private college or university. Hopefully, reading through the list of eligibility requirements here will help students understand which grants they are eligible to apply for, so they can concentrate only on those grants that apply to their unique situations. How Difficult is it to Obtain a Grant? Educational Grants in Virginia are easy to get and there is something for everyone! In addition to Federal Grant programs, there are numerous ones available to Virginians. From the Virginia Commonwealth Award Program to the specific curriculum grants, there is something for everyone attending college. Most of the programs encourage you to a FAFSA (Free Application for Federal Student Aid) on file, before filling out their applications. Some may even require it. Listed below are just some of the grants and other programs available in Virginia. Targets students with financial need. Applications are done through the college you want to attend. To be eligible, you must be enrolled in a two- or four-year university or college at least half-time. You must also be a resident of Virginia, and meet any additional requirements of the college or university. Awards are decided by the institution and will vary. Targets students in a, Starting in 2009-2010, specific graduate programs are limited to people in a health-related professional program. Applications need to be turned in to the financial aid office of the institution you plan to attend on or before July 31 before the start of the fall semester of enrollment. To be eligible, you must be a resident of Virginia and enrolled in a non-profit, private institution in Virginia. Awards vary depending on the student and the institution. Amounts could be up to $3,000 for undergraduates and $1,500 for graduate students. A student must be enrolled at least half-time. 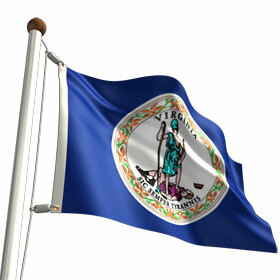 A student must be considered a domiciliary residents of Virginia. A student must have a computed expected family contribution that is less than one-half of the total cost of attendance. The award amount varies between $400 and $5,000 depending on a student’s financial needs and available funds. Students must complete a FAFSA at www.fafsa.ed.gov to apply. If a student is attending a private institution, the student must also file a Tuition Assistance Grant Application or complete a domiciliary status form. To be eligible, you must be a resident of Virginia and enrolled in a Virginia institution. Awards vary from $400-$5,000 depending on the financial need and funding available. For more on eligibility guidelines, visit www.schev.edu. To qualify, students must be U.S. citizens and Federal Pell Grant recipients. They must also be enrolled at least half-time in a degree program. The award amounts are $750 for first-year students and $1,300 for second-year students. Students must complete a Free Application for Federal Student Aid (FAFSA) to predetermine if they qualify for this grant. The Federal Pell Grant is a college grant given based on financial need to low-income, undergraduate students. In some instances, it can be given to post-graduate students who are enrolled in post-baccalaureate teacher certification programs. The amount of grant money allotted to each student is determined by an individual assessment and is based on a student’s expected family contribution, the cost of tuition, and the student’s enrollment status. The maximum amount of the award is $5,550 for the 2011-2012 school year. Students must complete a FAFSA at www.fafsa.ed.gov to apply. The FSEOG is for undergraduate students who demonstrate exceptional financial need. Recipients with the lowest expected family contributions are considered first. Students who qualify can expect to receive between $100 and $4,000 a year. Students must complete a FAFSA at www.fafsa.ed.gov to apply. This grant program is designed for any student whose parent or guardian was a member of the U.S. Armed Forces and who died as a result of services performed in Iraq or Afghanistan after September 11, 2001. For students to receive this grant, they must be ineligible for a Federal Pell Grant because they demonstrate less financial need than is required for a Pell Grant. Students must be 24 years old or enrolled in college at least part-time at the time of the parent’s or guardian’s death. The grant amount is equal to the amount of a Federal Pell Grant. Students must complete a FAFSA at www.fafsa.ed.gov to apply. Students must be eligible to receive a Federal Pell Grant. Students must major in a physical, life or computer science, mathematics, technology or engineering, critical foreign language or non-major single liberal arts program. Students must maintain a cumulative GPA of 3.0 in courses required for their majors. This grant program can provide up to $4,000 for each of the third and fourth years (or fifth year of a five-year program). Students must complete a FAFSA at www.fafsa.ed.gov to apply. In exchange for receiving the grant, students must agree to serve as a full-time teacher in a high-need subject area in a public or private elementary school or secondary school serving low-income students. After graduation, recipients must teach at least four academic years within eight calendar years of completing the program of study for which the TEACH Grant was received. If a student fails to comply with the stated conditions, the grant will convert to a Federal Direct Unsubsidized Stafford Loan, which means the student will have to pay back the money. Interested students should contact the school’s financial aid office to apply. The Veterans Benefits Administration provides educational grants for children of disabled veterans. The veteran’s disabilities must be total and connected to his military service. A child of such a veteran is eligible to apply between the ages of 18 and 26. To apply, students may request form 22-5490 from a nearby VA Regional Office. Students may opt to complete and submit an application at www.gibill.va.gov to complete the application process quickly. The following state grants are available to Virginia students. Students should pay close attention to the application procedure listed for each grant. The Tuition Grant provides tuition and fees at the Virginia community college level for high school graduates or for students who completed a GED program who were in foster care, in custody of a social services agency, or considered a special needs adoption. Applicants must also demonstrate financial need. Submission of documentation from the Department of Social Services regarding the dates in foster care or the dates that assistance was received for a special needs adoption may need to be submitted to the institution’s financial aid office to complete the application process. Awards are given to those who are not receiving enough funds to pay their tuition and fees. An interested student should contact the institution’s financial aid office to apply. Students must have received an Associate’s degree at a Virginia two-year public institution. Students must have a cumulative GPA of 3.0. Students must enroll full-time in a Virginia four-year public or private college or university by the fall following the completion of the Associate’s degree. Students must have a financial need. The maximum award amount is $1,000. An additional $1,000 may be given if a student is enrolled in a degree program in one of the following areas: science, teaching, engineering, mathematics, or nursing. Students must complete a FAFSA at www.fafsa.ed.gov to apply. This program assists undergraduates with financial need and helps graduate students pay part of their college costs. Award amounts vary by institution. An interested student should contact the institution’s financial aid office to apply. The major purpose of this program is to provide eligible students with certain education benefits to acknowledge the military services and sacrifices of their parents or spouses. An eligible student must be a spouse of a qualifying military service member or a child, between the ages of 16 and 29, of a qualifying military service member who is also enrolled in a Virginia public college or university. A qualifying service member must have served on active duty in the U.S. Armed Forces, U.S. Armed Forces Reserve, VA National Guard, or VA National Guard Reserve. A qualifying service member must have served in one of the following: military operations against terrorists, a peacekeeping mission as a result of a terrorist attack, or any armed conflict before December 6, 1941. A qualifying service member, while serving active duty, must also meet one of the following criteria: was killed, was missing in action, was a prisoner of war, or is a veteran, who, due to such service, has been labeled permanently disabled or at least 90% disabled. The benefits of the award include tuition or fee waivers or a stipend with a maximum value of $1,500. This program assists undergraduate, part-time students who demonstrate a financial need. To be eligible, students must be enrolled in a Virginia community college. The amount of the award varies. An interested student should contact the institution’s financial aid office to apply. To be eligible for this grant program, students must enroll in a STEM degree program. STEM degree programs include science, technology, engineering, and mathematics. Students must also show an interest in an aerospace-related career. The award amount for undergraduates ranges from $1,000-$8,500. The graduate amount is a $5,000 fellowship. Interested students should apply to the Virginia Space Grant Consortium. Further information can be found at www.vsgc.odu.edu to apply. A student must be enrolled full- or part-time in one of the critical shortage teaching areas. A student must be at or beyond the sophomore year (including graduate school). 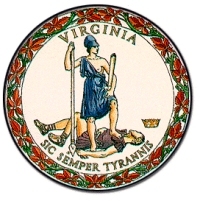 A student must be a domiciliary resident of the state of Virginia. After completing the degree program, the recipient will begin teaching in a public school system in Virginia in the first full school year after becoming eligible for licensure. The recipient will teach continuously in Virginia for the same number of years that he was a beneficiary of the funds. A recipient may teach in a critical shortage area as defined by the Board of Education. A recipient may teach in a career and technical discipline. A recipient may teach in a school with a high number of students who are eligible for free or reduced lunch, regardless of the discipline. A recipient may teach in any area or in any grade in a division with a shortage of teachers as defined by the Board of Education. If students elect to take advantage of this money, they can receive as much as $3,720 per year. If the obligations of this program are not met, the funds will be converted into a loan. Then, the recipient will have to pay back all of the money received as part of this program. VTAG assists Virginia residents who attend private, non-profit colleges and universities in Virginia for purposes other than religious training or theological education. Eligible students must be domiciliary residents of Virginia who are enrolled full-time as undergraduate, graduate, or professional students. Eligible graduate programs for this grant are limited to those in health-related programs. The maximum award for undergraduates is $2,650 while the maximum award for graduate students is $1,150. An interested student should contact the institution’s financial aid office to apply. These are just a few of the programs out there for Virginia residents. In addition to many programs for nursing and teaching, Virginia offers a diverse array of options, so that everyone has the opportunity to finish college. For more details about these programs or to find more, please visit the website for the State Council of Higher Education for Virginia (SCHEV) at www.schev.edu. When applying for any of the Virginia grant money listed above, students should remember several tips. Always fill out all forms correctly in their entirety to ensure the greatest chance of securing these funds. Also, if other paperwork or documentation must be submitted with the application, make sure that it arrives before the deadline. Earning grant money for college should help students with the financial aspect of attending a Virginia college or university. Many opportunities to get grants exist, and students should apply for as many grants as they are eligible for to receive the maximum amount of money to cover tuition and fees.